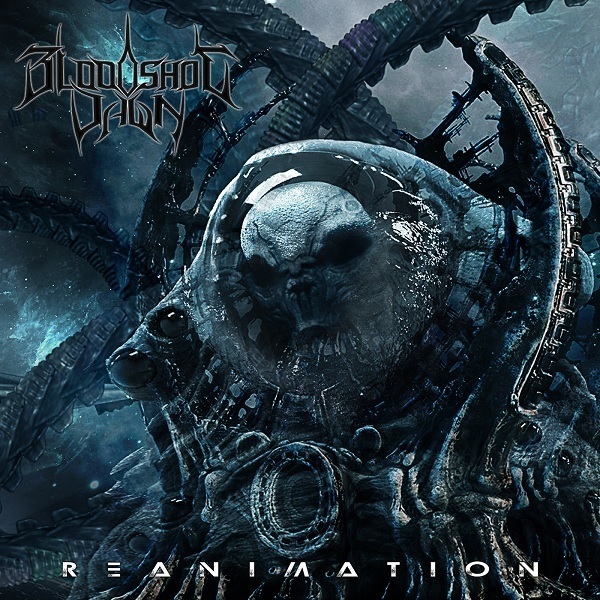 Reanimation immediately feels more in line with an early Soilwork album with traces of metalcore scattered about. While that influence remains the deeper you get, though shifting gears to more of a modern take on it, there is much more to this one than just that comparison. There also were breakdowns and hints of Whitechapel or Oceano deathcore undertones between the subtle melodic progressive tendencies, all of which is far from a bad thing. The mixture of subtle complexity, attitude, highly charged melodies fuel a number of both epic and soothing segments that all make for a compelling, yet highly varied, metal creation that often doesn’t even feel human. Case in point: “Survival Evolved”. The melodic tendencies leave you yearning for some Soilwork, though in this case more their current state sans the modern rock. The sweeping piece of minor but noticeable changes in tone and even timing blur the lines between technicality, melodic death, and atmospheric progressive metal comparable to Symphony X. In fact, the only thing missing from this equation is some strong clean singing, leaving you to envision Bjorn Striid’s signature voice to fill the small void left behind. Even though some singing would fit some of the lighter hooked fuelled passages, it isn’t a detriment to the entire composition, and thankfully not something that happens all that much later on either. “Upon the Throne of Fear” is a more in-your-face piece, grabbing you by the throat and refusing to let go with the tight death metal riffs and mixture of guttural and raspy vocals. The guitar solos here are top-notch, offering up madness in a clearly neo-classical vein to match the intimidation on display throughout, especially when they all come together and feel more like a page torn from the playbook of The Black Dahlia Murder, a sound that seeps into the next stunning track “Controlled Conscious”. The darker aggression here builds up nicely to the anthemic chorus that screams inspiring Arch Enemy in the chorus. One sit through with this one and it becomes impossible to not see Century Media Records or Nuclear Blast Records reaching out with contract in hand soon. “DNA Reacquisition”, however, is a brief instrumental piece that is essentially the polar opposite of the past two equations. The haunting, lonely guitar introduction leaves you floating adrift that sentient plain, as if exhausted like the human battery you are that powers the matrix around you. The tight progressive guitar solo that follows shortly after pulls you back, leading the commanding climactic title track, the soundtrack to your fighting back against the machines in hopes of a brave new world beyond them. Struggling to break free of their grip, the tense and slow build with steady, restrained riffs act as marching orders with paranoia creeping in as the enemy comes closer with the chorus the only breath of relief as you race to the finish line of a conceptual metal opus. One last thing that needs to be addressed with this release is those aforementioned influences. First of all, there are some guest musicians that do lend a hand towards those notable sounds including Jeff Loomis of Arch Enemy and Nevermore, as well as Paul Wardingham, Ken Sorceron (Abigail Williams, The Faceless), and even Mendel Bij De Leij of Aborted. That’s not all though, as the press release cites the band also travelled to Sweden to work with Per Nilsson of Scar Symmetry for “final guitar pieces, additional layers, mixing and mastering.” So not only does the band bring in a hefty amount of talent to the mix within its ranks, but they sought out some of the best to help ensure the final product really stands out, and it clearly shows. Reanimation is destined to be one of metals most well hidden secrets, which is a damned shame. Easily one of the most tightly knit offerings to come out so far this year, Bloodshot Dawn unravel a dark and foreboding tale without the listener even knowing they are in the middle of a metal opera. Technical, melodic, progressive, and downright unrelenting at times, this four piece clearly puts their all into this nightmare riddled offering that leads you one way before fluidly pulling you into a completely different path, as if making you fight between good and evil, civility or sentiency, mankind or machine, and it’s a stunning experience from start to finish that hopefully some of the big players in the metal distribution realm will take notice of and attempt to spread the sickness of to the masses that need to hear this memorable experience.